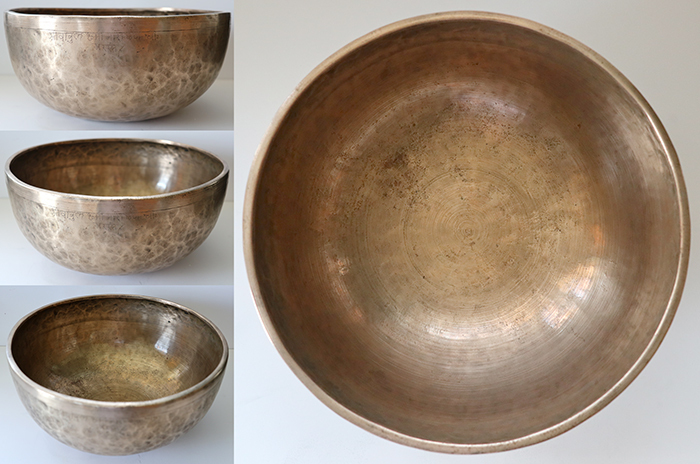 Assigning Fundamental Notes and Harmonics: Antique singing bowls are complex multi-harmonic instruments and it is often difficult to determine a bowl’s fundamental note and its other harmonics. I use a Korg Orchestral Tuner to help assign notes and their octaves, but frequently find myself checking the results on my piano because the tuner sometimes favours a secondary harmonic when the sound one hears is another note altogether. 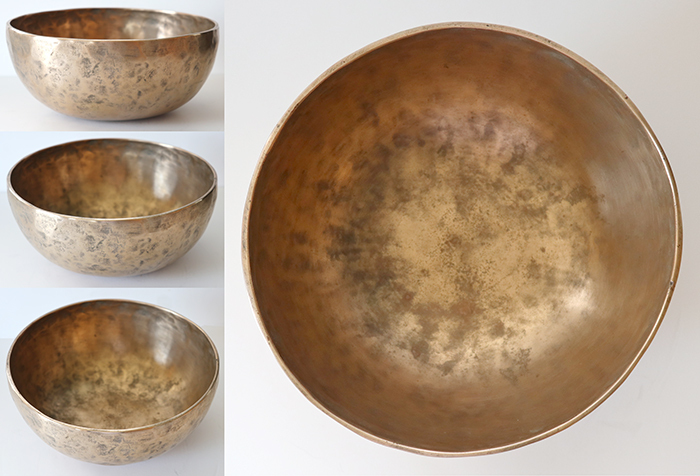 It doesn’t help that some bowls switch dominant harmonics according to the type of ringer and the method of play. My best advice is to listen to the audio samples and decide for yourself. The Audio Samples: The mp3 audio samples have been made using a Zoom Stereo Recorder and edited with Audacity software. Most of the audio files are composed of one, two or three sound bites. A single sound bite will always be the struck note, a double will be a struck note and a played rim note using a leather ringer, and a triple will finish with a rim note using a wooden ringer. Additional harmonics may also be present and heard simultaneously...some of these can be very subtle. 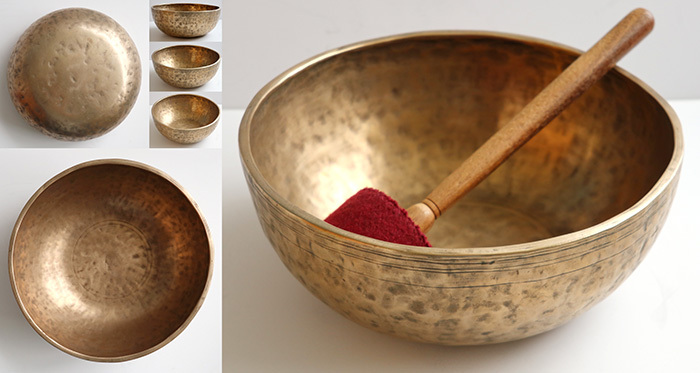 The Clips: The first sound is the bowl\'s fundamental note, or first harmonic. 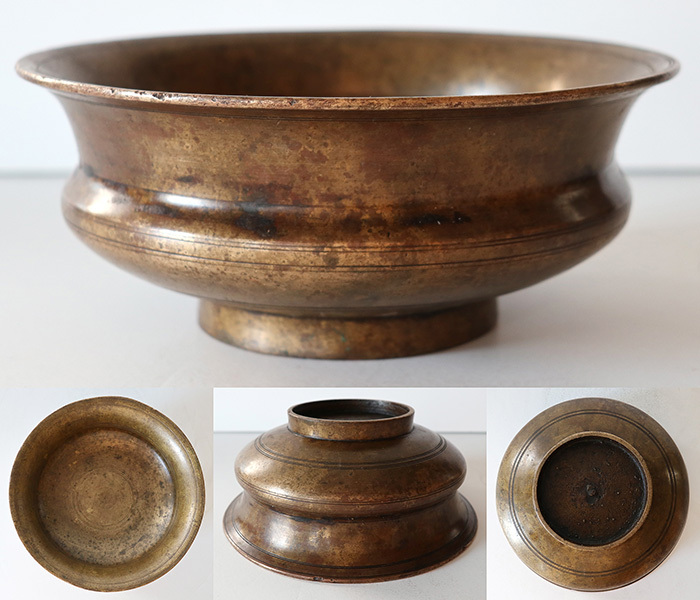 This is the sound one hears when the bowl is struck on or just below the rim with a padded mallet. Sometimes the bowl is struck a second time. The duration of the note is nearly always abbreviated to reduce the size of the file. The second sound is the second harmonic, or rim note. This is the dominant note produced when the bowl is played around the rim, usually with a leather-covered ringer. This is often the same note as the fundamental, but it may be a different note entirely. 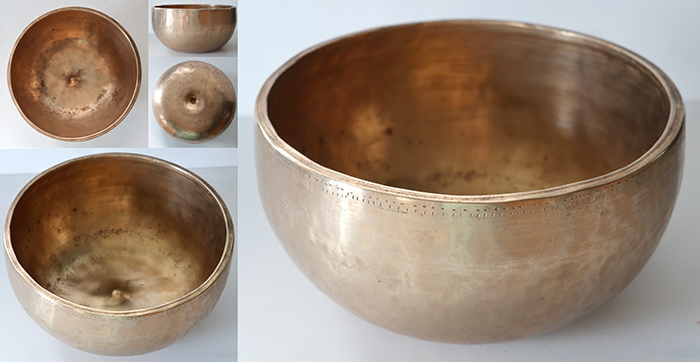 The third sound, if any, is normally the note produced when the bowl is played around the rim with a plain wooden ringer. This will frequently be an entirely different note to the fundamental, and is usually a higher octave. 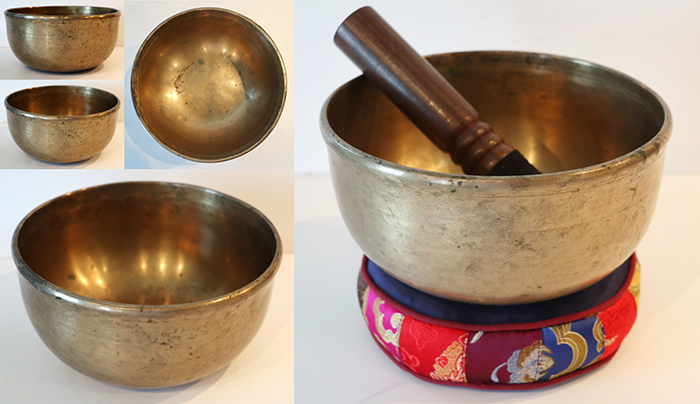 Where a bowl’s fundamental and rim notes differ, both may be used on associated chakras. 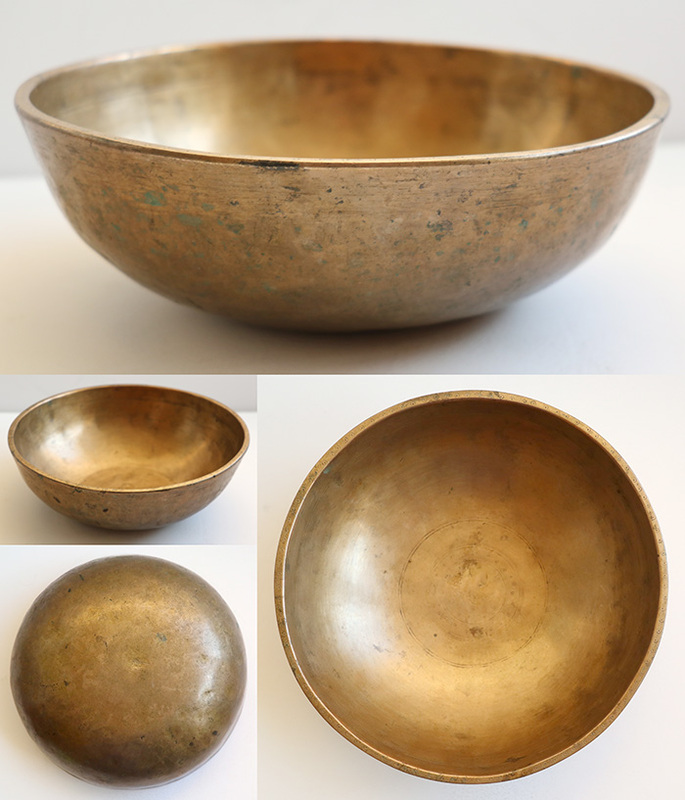 You will need to listen to the sound bites and read a bowl’s full description to discover how versatile it is. 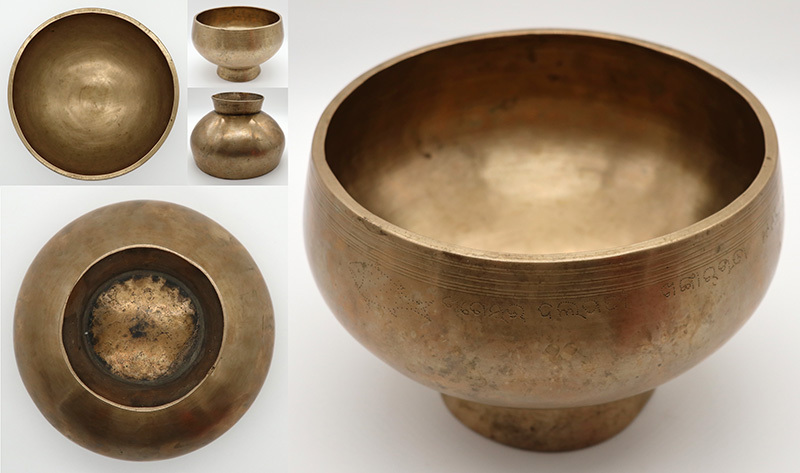 Note: A brief description of each audio sample is given beneath the audio PLAY button associated with every singing bowl. The sound clips are best heard through headphones. 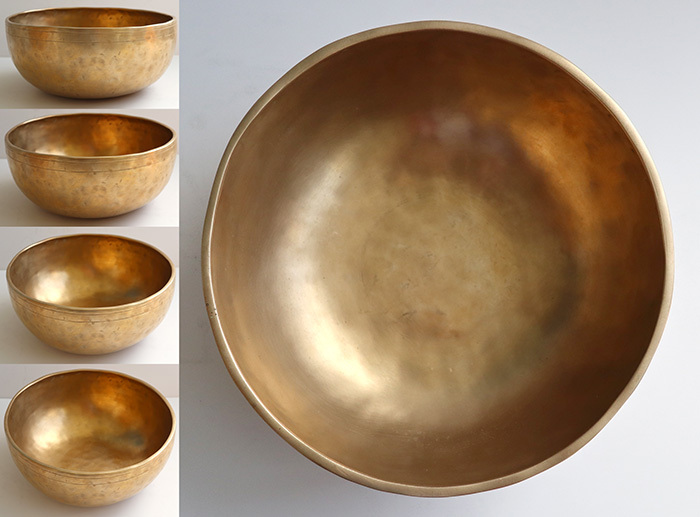 Please click the BOWLS tab in the above Toolbar to view by Bowl Type, Note, Chakra, Size, Attribute and Price.